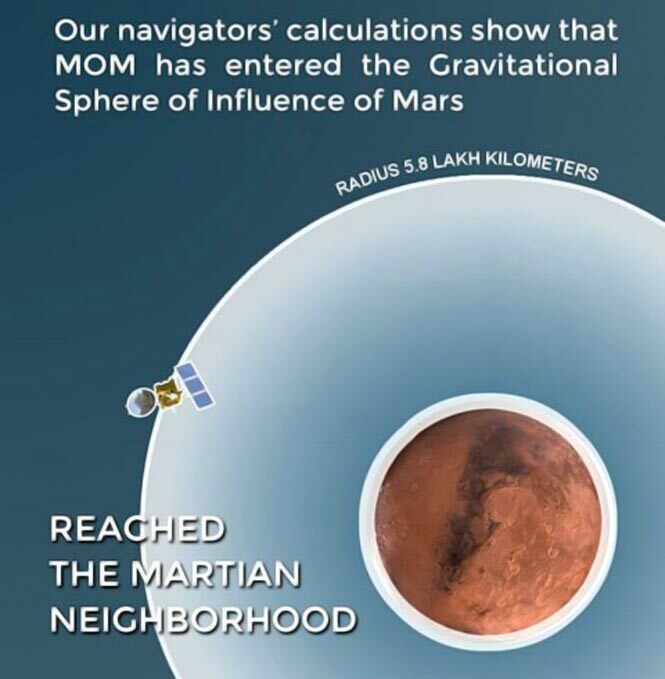 There is a planned monthly skywatch every month, co-ordinated by the outreach committee of the Astronomical Society of India. After some discussion with interest groups, the third Saturday of every month was decided as suitable for the year 2015. The first of these co-ordinated skywatch activities is centered on the 17th of January. It is planned that an online hangout will take place the Sunday before this event every month, which will include discussions for the planned observations and so on. Some related discussions/help for beginner groups in the form of writeups and video uploaded to Youtube will also be undertaken by the community. It is not necessary that everyone conducts the skywatch strictly on the third sunday of the month. 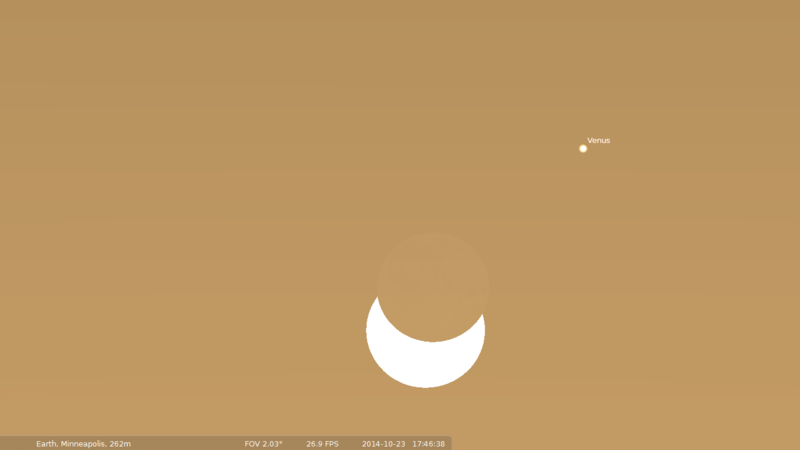 For very good reasons – both Astronomy or weather dictated – groups might be undertaking skywatch activities on dates a little staggered around the main date. All groups conducting/having conducted skywatch activities in this countrywide co-ordination, are requested to place a small report (even a few words will do) here. Starcounts for light pollution measurements are encouraged. Groups undertaking these measurements are requested to update this community page with limiting magnitude measurements with locations specified. Its rare for one to live in a place where the heavens just decide to show you their wonder. 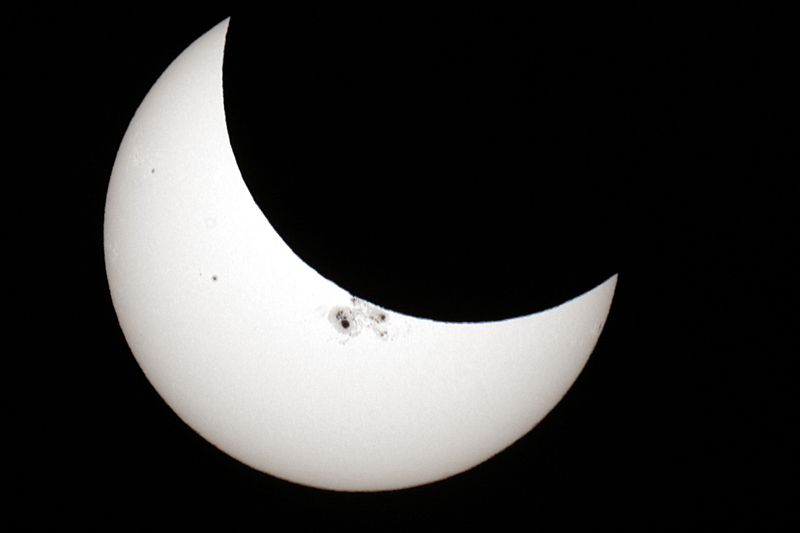 The path of Oct 23rds eclipse wen right through Minneapolis, USA where I currently live. 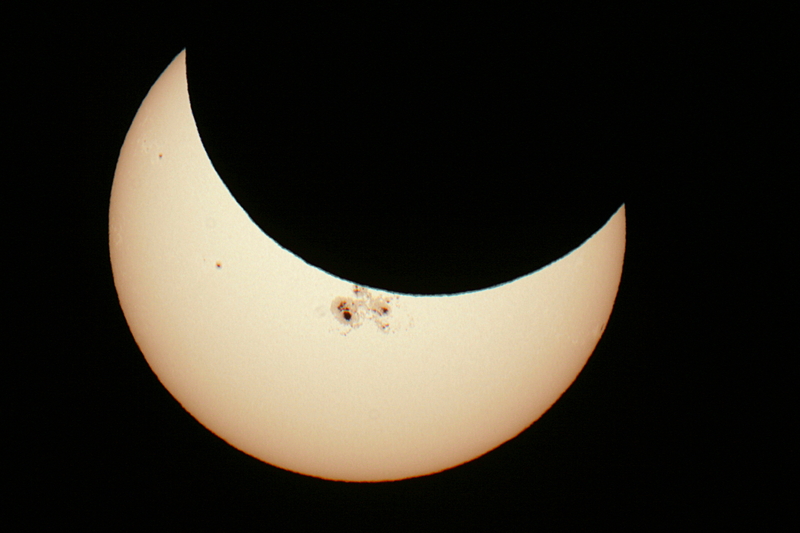 Not to miss this, i loaded my scope and filter in the car, and set it up at my workplace’s parking lot right after work. 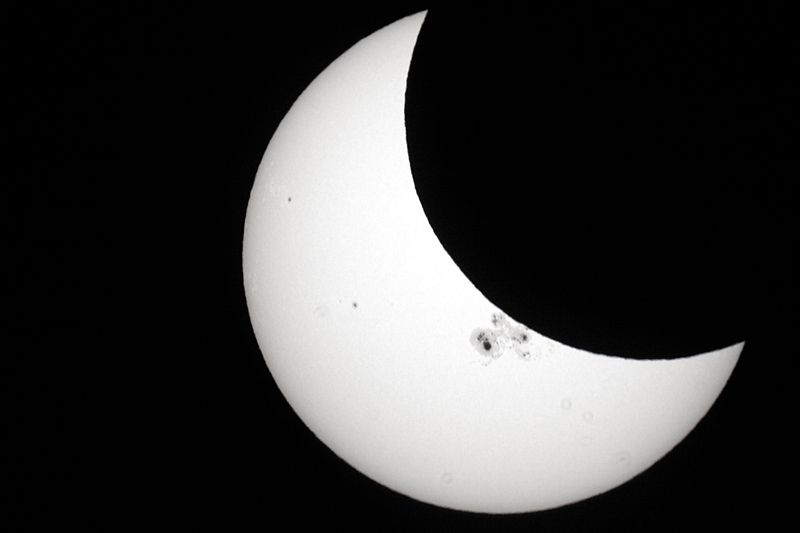 The sight that made the eclipse special was the massive sunspot AR2192 which is as big as Jupiter. As seen from here. 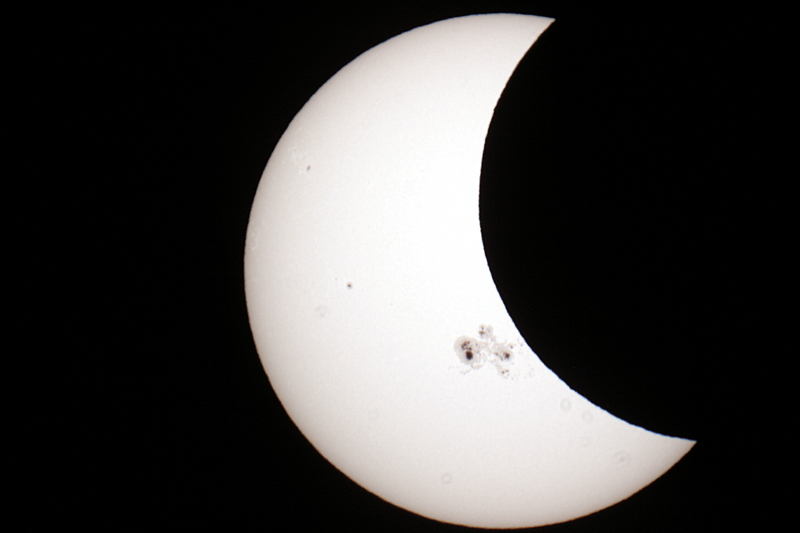 the maximum of the eclipse about ~ 50% was able to obscure some part of the sunspot. Nehru Planetarium, Nehru Memorial Museum and Library, in collaboration with the Amateur Astronomers Association, Delhi, will be organising a Telescope Open House on the 4th of October 2014, with a sky theater interaction from 5:00 PM to 7PM and a skywatch with telescopes following that. This event starts in the sky theater of the planetarium, ‘Under the stars”, with interactive discussions using full dome visuals, to be followed by an evening skywatch through telescopes. The sky theater interaction and discussions will be related to telescopes of all apertures – from a Galileoscope to the TMT. There will be presentations live as well as recorded. You will get to hear and interact with – seasoned amateur astronomers as well as professional astronomers working with cutting edge research in optical Astronomy. 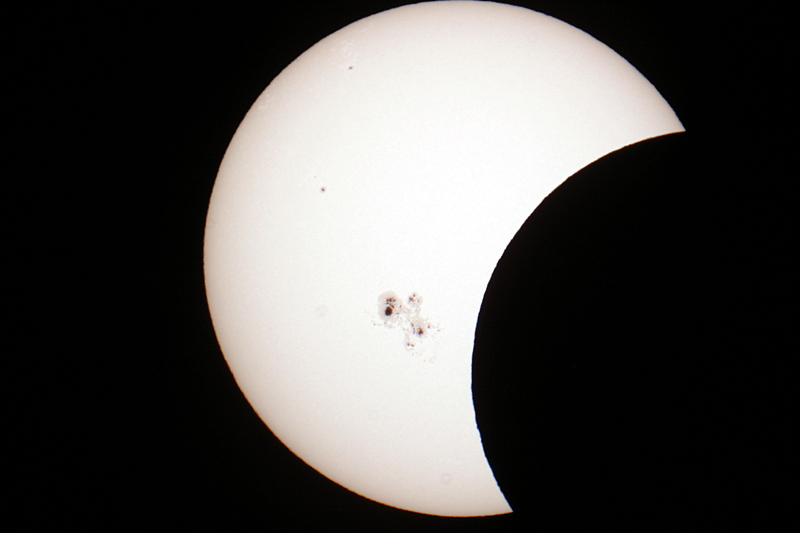 During the day : From 12:00 Noon to 2:00 PM, there will be some simple sun observing activities with amateur telescopes (through projection and also using solar filters). The sky theater interaction will be a combination of live and recorded segments of content related to telescopes. The presentation will be aimed at an appreciation of gains in understanding celestial objects, from each substantive jump in aperture – through history – to contemporary times. 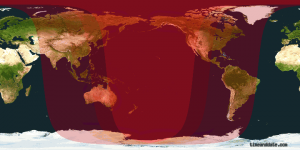 Evening skywatch will be through 8″ and 14″ aperture computerized Go To Celestron telescopes facilitated at the planetarium, by the National Council of Science Museums. On the Panel ; Ajay Talwar (AAAD), C. B. Devgun (SPACE), T. V. Venkateswaran (Vigyan Prasar), co-ordinated by Rathnasree (Nehru Planetarium, New Delhi). Skype interaction with Prof. Tushar Prabhu (Indian Institute of Astrophysics, Bangalore) and Arvind Paranjpye, Director, Nehru Planetarium, Mumbai. 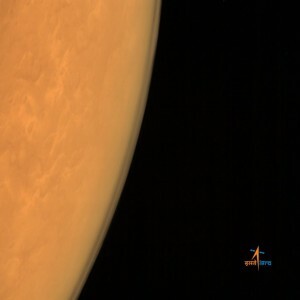 7:00 PM to 8:00 PM : Evening skywatch with telescopes. Please try and be present from 5 PM onwards, at the planetarium, on the 4th. Bring any questions you have on telescopes, to the planetarium. 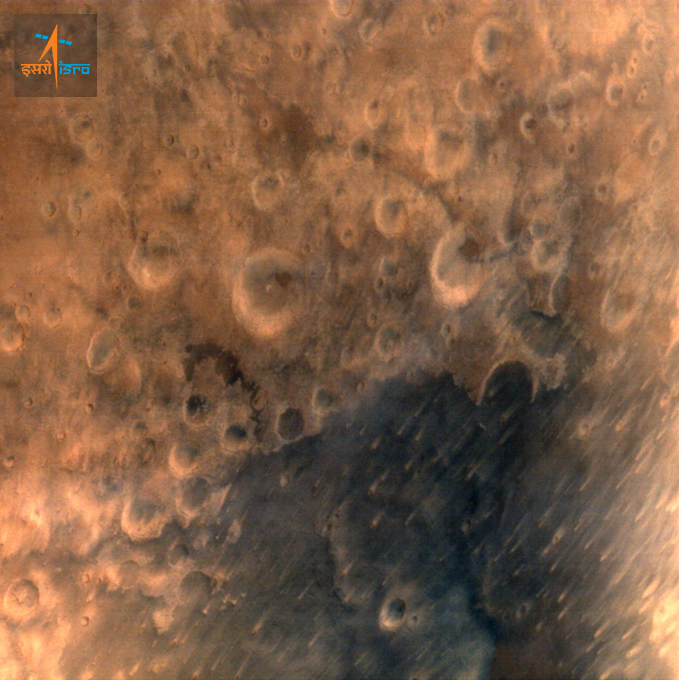 First shot of Martian atmosphere as seen by Mangalyaan. Tomorrow, the probe will autonomously fire its liquid apogee motor (LAM), when the craft is eclipsed by the red planet from our view on earth. If the LAM fails to fire, ISRO is banking on eight smaller engines which may be used alternatively. Commands related to all of these scenarios have been already uploaded into the craft a few days ago. 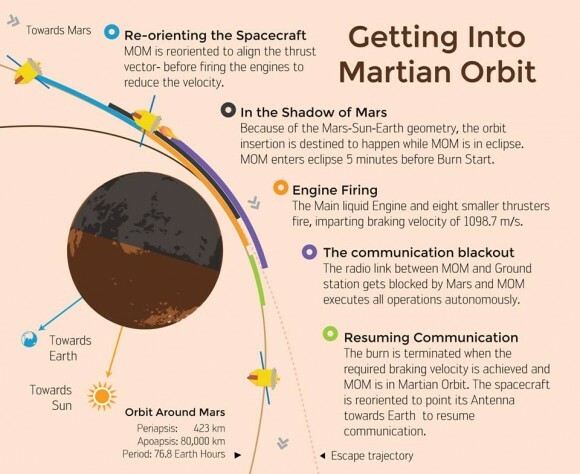 If nothing works, short of a spacecraft exploding in deep space ( just kidding ), the orbiter would just shoot past Mars and the get hurled into a trajectory that would send it out of the solar system. Stay tuned….as more exciting times are ahead! So, me and some of my astronomy enthusiast friends went out to look for Aurora borealis here up in Northern Minnesota. 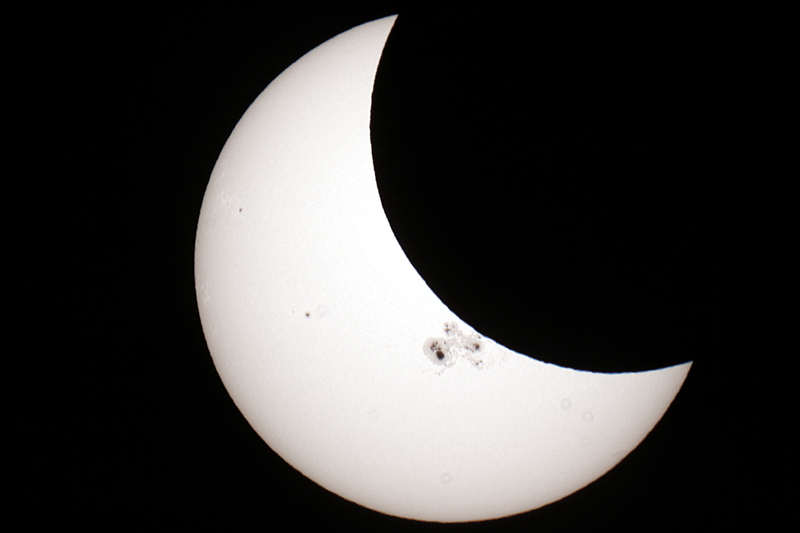 As luck would have it we had a hard time dealing with cloud cover and the moon rising at around 9 pm local time . However as i was playing with may camera, trying to detect any signs of an auroral glow, this nice visitor showed up in front of my camera. 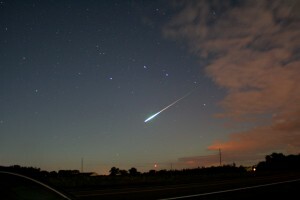 The bright meteor left a nice smoky trail as it blazed by. 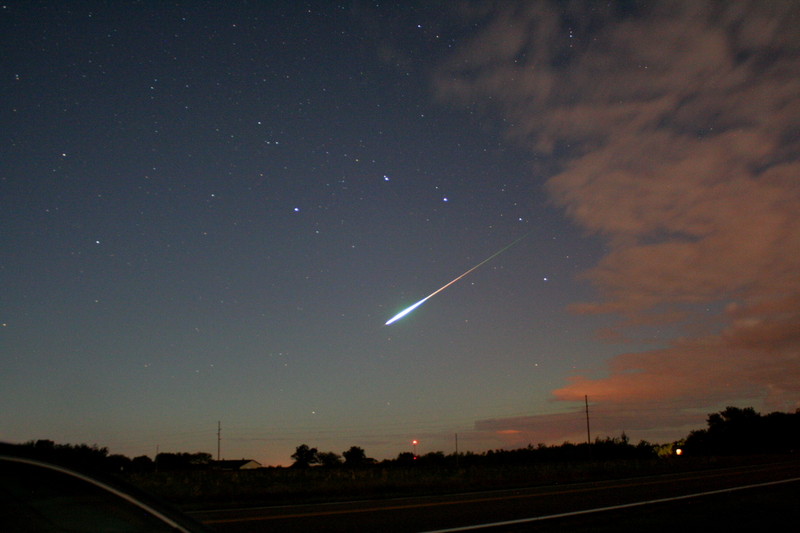 The fireball’s flash was so bright that it could cast shadows on the ground.